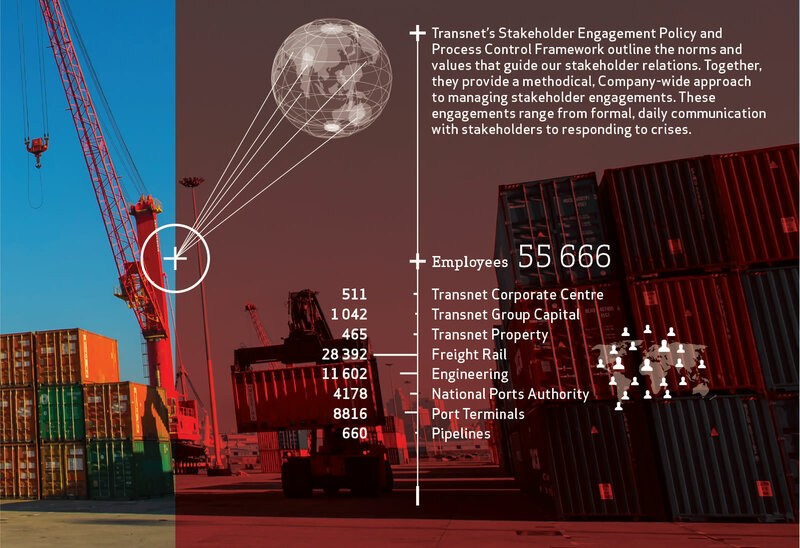 Results from the 2017 Multi-Stakeholder Perception Survey indicated that Transnet’s brand and reputation had been severely compromised during the reporting year due to a lack of proactive stakeholder engagement and a perceived lack of transparency and accountability relating to material stakeholder issues. Allegations of corruption, together with community demonstrations, fatalities and customer concerns around capacity and delivery have contributed to negative perceptions with some stakeholders. It is apparent from the survey results, coupled with media reports, that Transnet must radically improve its engagement with both internal and external stakeholders. This will require more active and regular consultation, involvement and communication. 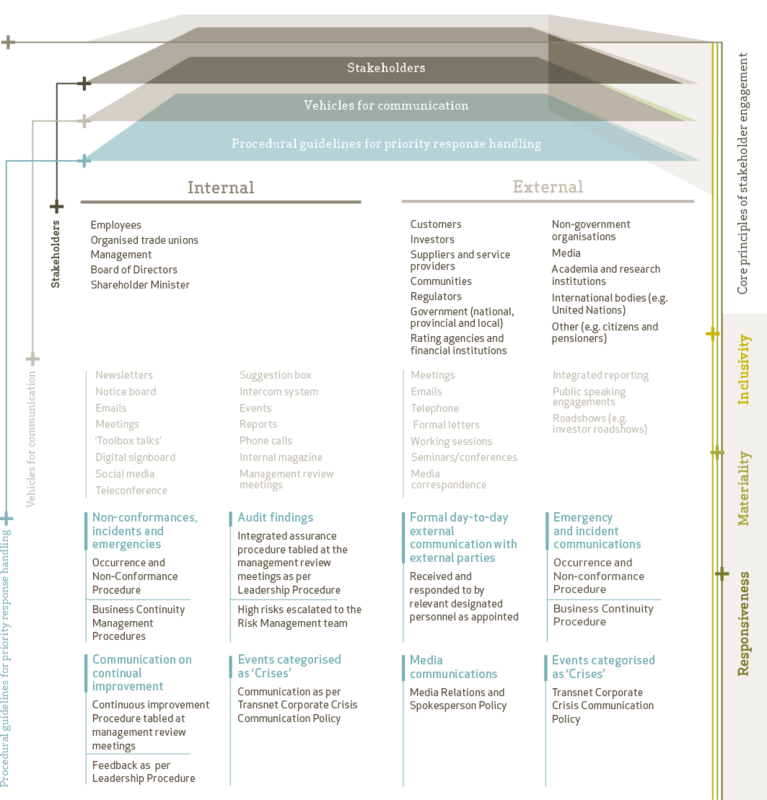 Inaddition to improving stakeholder engagements, we need toaddress the core of these issues, be they ethical or related toperformance. The 2018 Integrated Report attempts to address some of the key issues raised: firstly, by openly acknowledging concerns or allegations and secondly, by sharing our responses to these issues. While ongoing internal legal investigations for some of the allegations may prevent us from concluding on these issues at the time of publishing this report, we are, at the very least, able to share our mechanisms for handling them. 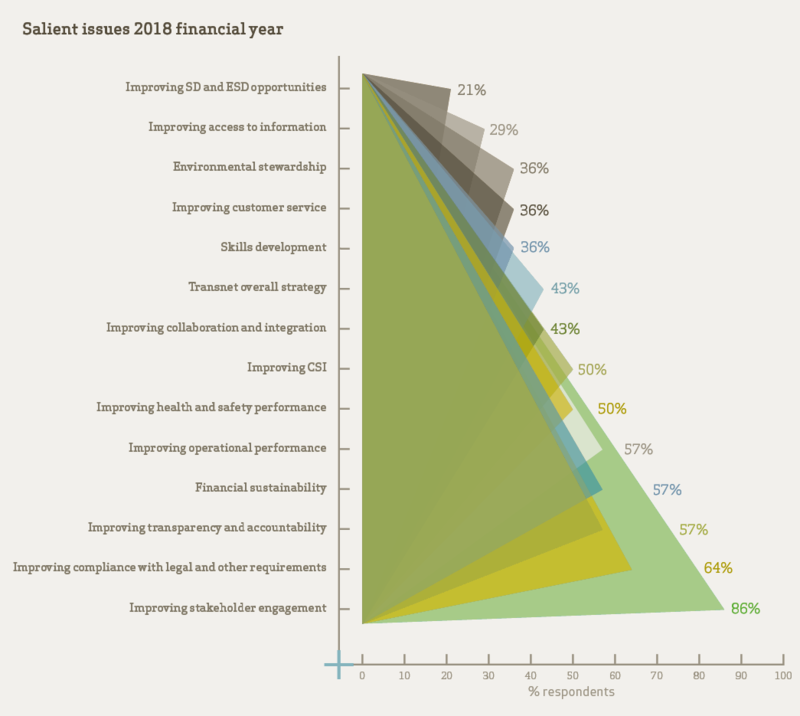 Based on the combined perspective of ‘relevance’ and ‘importance’ of material stakeholder issues, the top 24 material issues have been identified for discussion in the 2018 Integrated Report. These issues are further represented in this report as part of the 2018 ‘material aspects inforgraphic’ and clustered together with the other material issues arising from Transnet’s mandate, business context, and the SDOs.